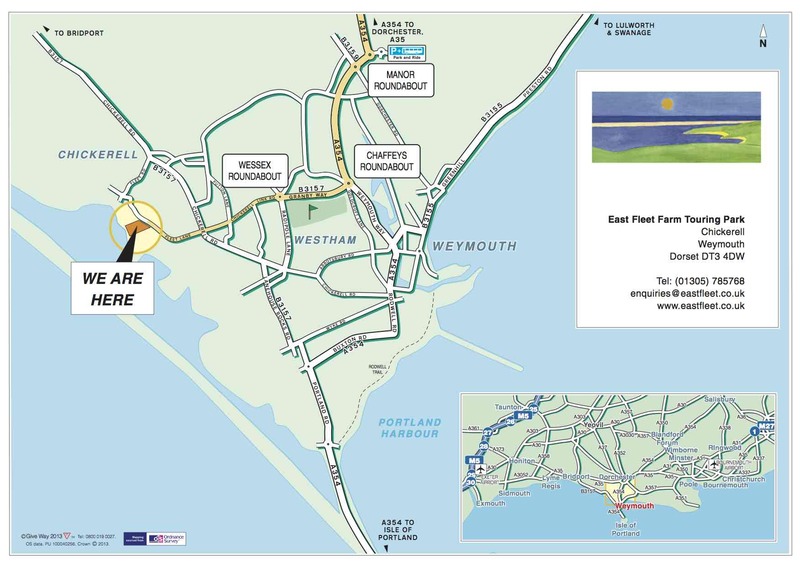 East Fleet Farm is situated just off the B3157, approximately 3 miles west of Weymouth town centre. From Dorchester A354. The new Weymouth relief road is now open. It has 2 new roundabouts. At both of these you need to turn right. This will bring you to Manor roundabout where you should cross over going straight on. Then follow signs to Chickerell and B3157. At traffic light junction with B3157 go straight ahead down Fleet Lane. Please note CCTV is in operation in public areas of the premises.